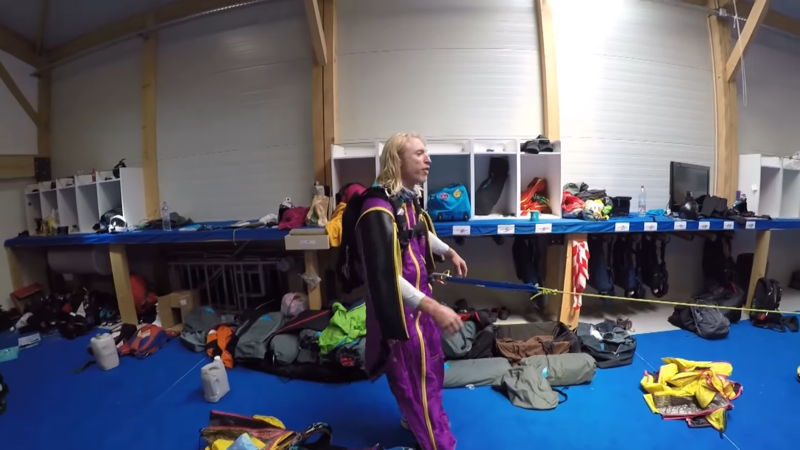 Vincent “Le Blond” Descols, is a French Wingsuiter -you most remember him from Denivelator Wingsuit – a Tribute to Brian Drake. Vincent grew up in a mountain village in the French Pyrennees mountains. He always wanted to fly, and got his pilot’s license at the age of 15. He started skydiving in 2005. Always wanting to be in the sky, even during his job as an Air Traffic Controller, his passion for the mountains naturally led him to BASE jumping in 2008. Vincent pursued BASE jumping intensely for the first year. But sadly after being hit by a train, he was hospitalized for one year and told that not only would he never run again, but would most likely have difficulty walking. However, after a determined rehabilitation, he took his sports back up the following year, even hiking to some of the locations on crutches! Later in 2011, he was back in the game, and some of his wingsuit BASE jumping proximity lines became a hit, likely because it was the first time such long proximity flights had ever been seen. He form the « Vercors Base Team », along with three friends, opening up some of the tallest high mountain BASE jumps in the world. This created a subsequent buzz when they opened both Brevent and Aiguille du Midi, both in Chamonix, only 2 weeks apart! Finally, he was invited to take part in the « World Wingsuit League 2013» championships. He made it to the finals and finished his first wingsuit competition on the podium. Since then, he has participated in the WWL championship in China every year, winning the 2016 competition. His team, Vercors BASE Team, also took first place at the « Wings For Love » event in China. Vincent has also participated in the RedBull ACES competition in the USA, twice. 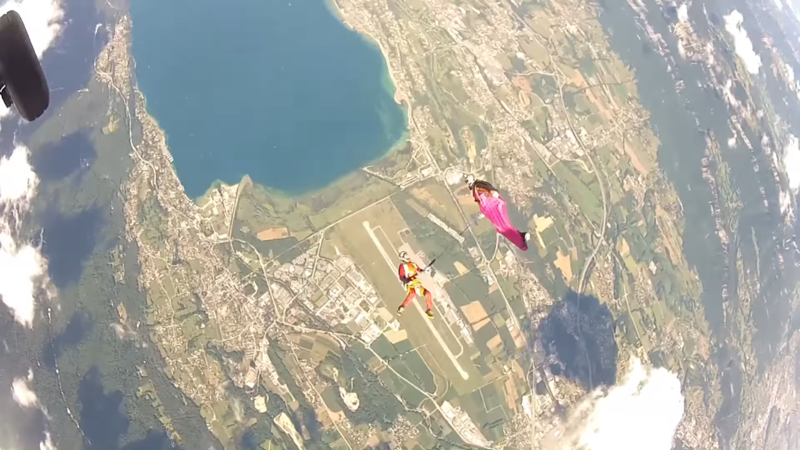 Now, he shares his life and passion with his wife Marine, who is also a wingsuit instructor, in the French Alps. 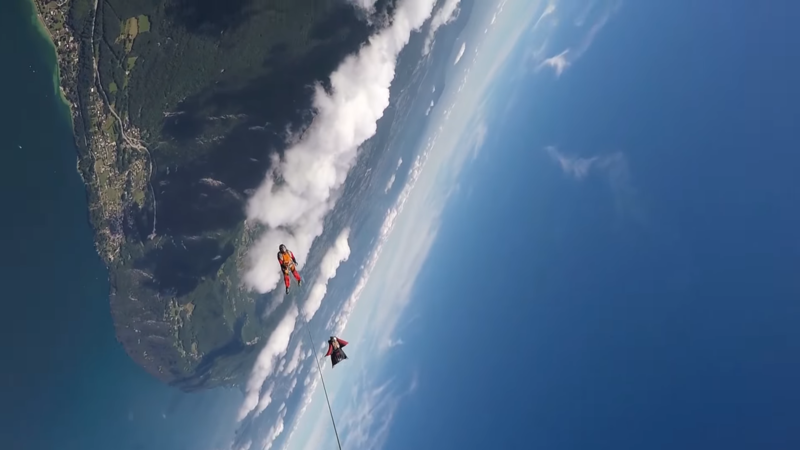 Together, Vincent and Marine achieve a unique and original stunt called Wingsuit Rope Swing! 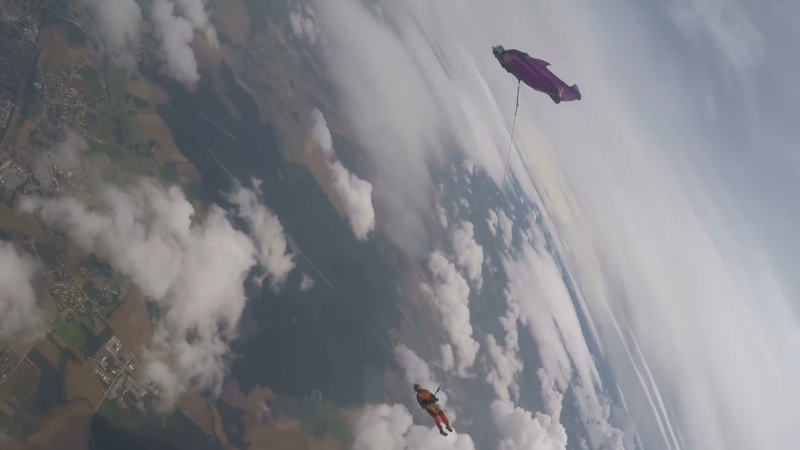 Wingsuit Rope Swing, consists of a flight Wingsuit made by two people, in which one person is tied to the Wingsuiter by a rope, that leaves them suspended in the air looking up. Obviously an activity that requires a lot of confidence and communication, it is not surprising why doing it between husband and wife. 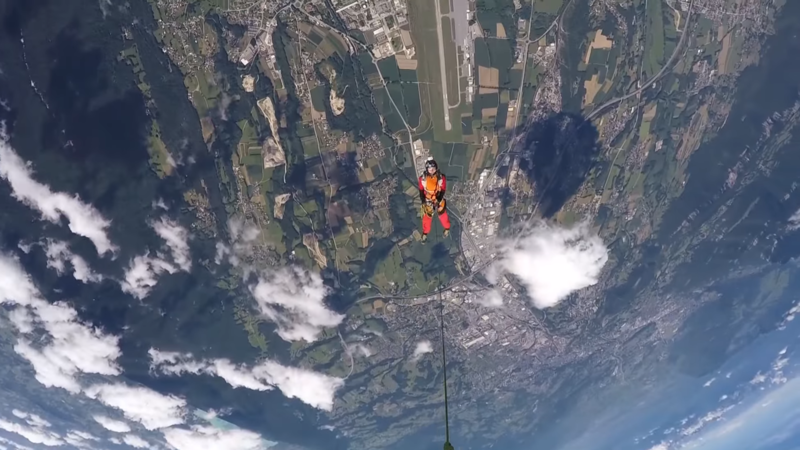 Vincent and Marine achieve a unique and original stunt called Wingsuit Rope Swing! 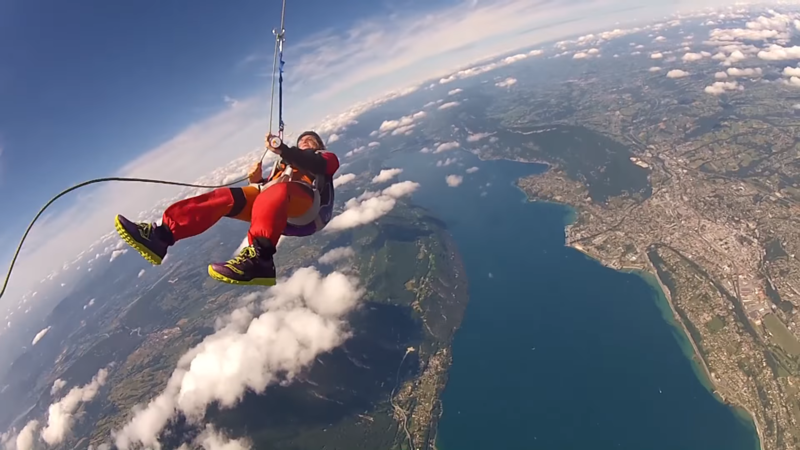 Wingsuit Rope Swing, consists of a flight Wingsuit made by two people, in which one person is tied to the Wingsuiter by a rope, that leaves them suspended in the air looking up. Est-ce que ca vous rend malade?? Du grand portnawak comme j’aime ! Bravo à vous et merci au DT (qui a du être content que tout ce passe bien). 1 saut 1 réussite ou des sauts tests avant ?